A brand of the manufacturer Innovative Hearth Products (IHP), the Superior product line offers a variety of high quality gas and wood burning fireplaces. Innovative Hearth Products is the result of a merger between industry leaders Fireplace Manufacturers Incorporated (FMI) and Lennox Hearth Products. Combining decades of experience with wood burning products by FMI with cutting edge gas burning technology offered by Lennox allows IHP to produce an expansive product line with various levels of feature content. Everything from basic builder units to luxurious fireplace showpieces are available. With so much to offer, Superior is bound to have the perfect product for your fireplace needs. We have a superior vented natural gas view (front and back) fireplace #GST - 8500N. Can a blower unit be added to this model so we can get some heat from this unit in the winter time? Unfortunately, a blower is not available for the GST - 8500N. 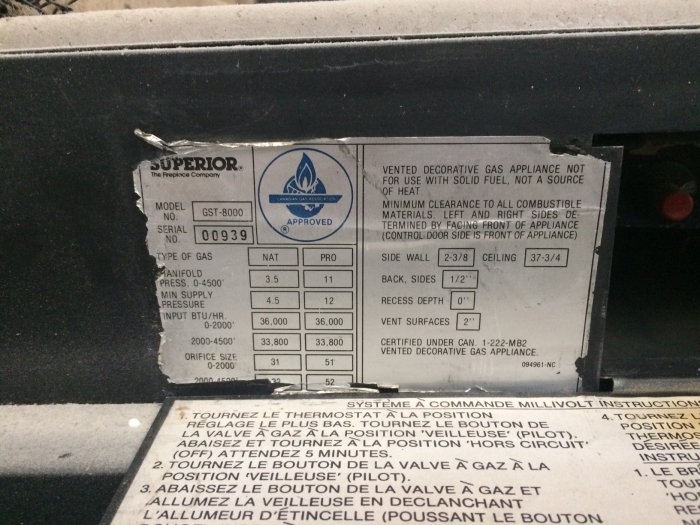 I have a Superior double sided model GST-8000 (circa 1993) gas insert fireplace. After a recent renovation, I need a Face/beizel kit for the one side. Would you have anything that would fit this unit? Attached are som pics of the unit. 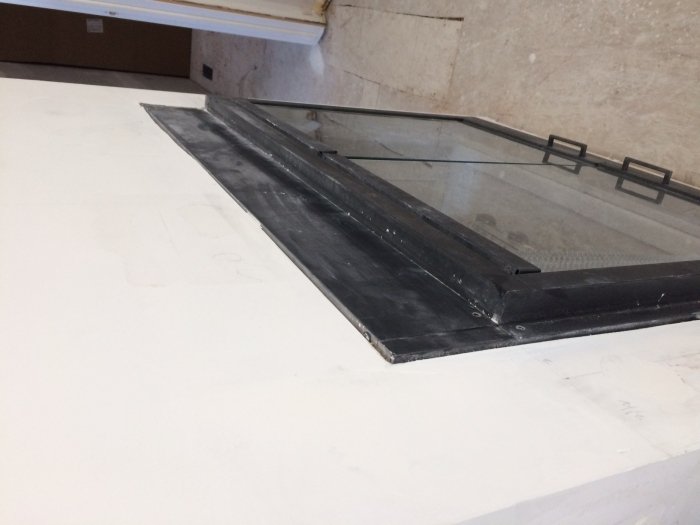 We would not offer any option trim for older Superior fireplaces, however, it appears as though your wall is unfinished and you could cover the area surrounding and leading to the fireplace facing with noncombustible tile or stone after fastening cement board to your stud framing for a finished look. I am trying to get information on a Superior fireplace. The date of MFR. code is AF, MODEL # is RD 4300. I need to know if this is a wood burner, or gas logs only. I would also like to check on doors and a blower for this unit. I would like any information you could find on this unit. While doors will be available via custom order, the RD4300 may not be used with a blower. 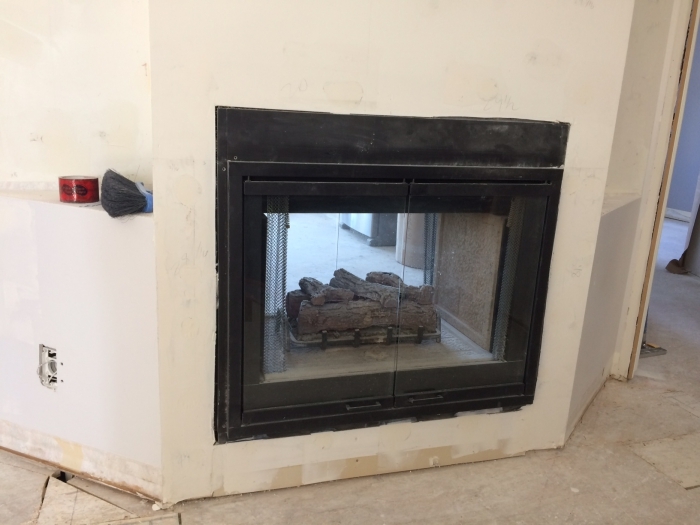 This is indeed a prefabricated wood burning fireplace that may have a gas line installed for using an optional log lighter or vented gas log set.